Balmoral Place is an oasis of peace and relaxation, set on the outskirts of Collingwood, on a bucolic, tree-lined lot. Life here is set to only get better, as the community ages like a fine wine, and those who live here age in place. 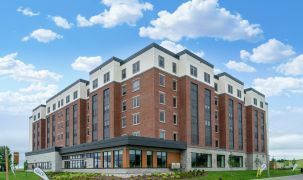 This is a community ahead of the curve, offering exceptional seniors' care for those wanting to settle in Collingwood. 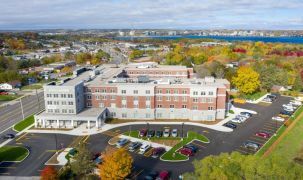 Opening in 2017, Balmoral Place offers independent living, as well as assistance with some daily living tasks, including dressing and medication administration. The unique age-in-place ethos of the community allows you to pick and choose the exact type of assistance you need. 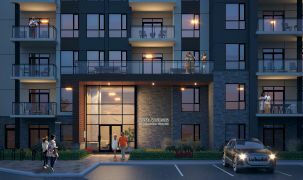 The many charms of downtown Collingwood are just minutes away, and the Georgian Bay harbourfront is just down the street. The vibrancy of Collingwood is second-to-none, with its year-round activities, skiing in winter and water fun all summer. For all that, though Balmoral Place is planned as an oasis of peace and calm. The best thing about moving into Balmoral Place is the opportunity to take part in a community built on vision and experience. The visionary planning is an extension of Balmoral Village, the community wherein this is situated. 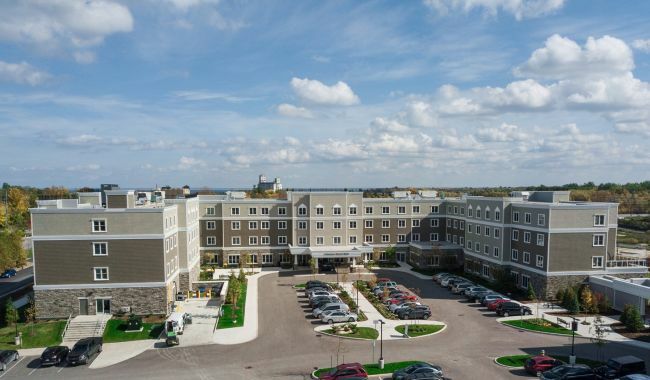 This is a master-planned community focused on anticipating the changing needs of Canadian seniors. Life in the Village has the added advantage of increasing your circle of contacts and new friends. Many people also love the idea of moving into Balmoral Place, bearing in mind that their adult children may find a home in the Village, enjoying the active lifestyle there. 24 hour care staff focused on health and wellness, supervised by a professional nurse. An onsite lifestyle and programs team keeps things exciting and entertaining. You can forget housekeeping and laundry: it's all taken care of! Balmoral Village... will become the example that will be used for many retirement places in the future. I really like that there are five levels of accommodation [in the Village] depending on your needs. [You'll] never have to search for another place to live as you get older.